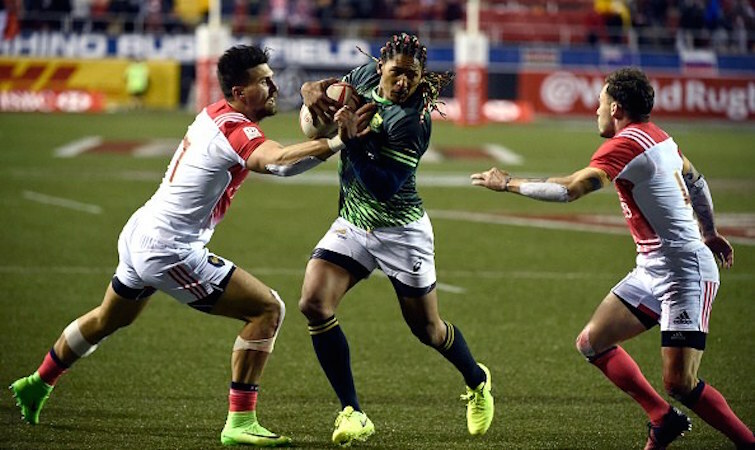 The South African Blitzboks’ run of success in Las Vegas continued on Saturday as they won their first two games of the HSBC Sevens Series being played there, writes MARK ETHERIDGE. The Blitzboks opened with a 26-7 defeat of Canada, in a game where they only really hit their straps after the break, and closed with an altogether more impressive 31-0 whitewash of France. A highlight of the opening game was Branco du Preez coming on and scoring in his 50th tournament. 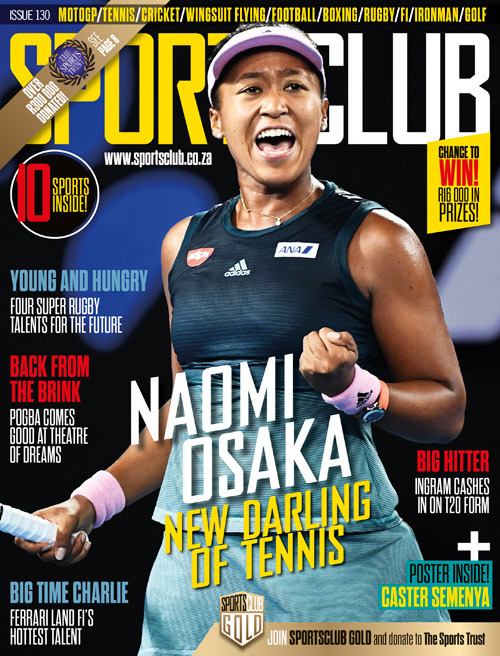 Playing without key stars Seabelo Senatla and Kwagga Smith, after the two have returned to their Super Rugby franchises, the Blitzbok machine showed little signs of being any weaker at a venue where they’ve enjoyed rich success over the years. In the final game of first-day action at the Sam Boyd Stadium,it was the Justin Geduld show against France with the little playmaker featuring in just about every scoring action. He opened the scoring almost two minutes into the game for his 76th Sevens Series try after a sweeping move had almost been intercepted, before Siviwe ‘Shakes’ Soyizwapi did well to free Geduld, who jinked over into the corner. With less than two minutes left to play it, was Rosko Spekman who went under the posts after some slick passing, Geduld being involved again. Then, six seconds before the halftime hooter, it was that man Geduld again, this time showing some fine individual skills after a patient Blitzboks build-up. The conversion was wide, but so was the lead at 17-0. A calm coach Neil Powell kept the Blitzboks focused during the break, telling his charges to focus on the next play and then to expect substitutions after two minutes. ‘We start at 0-0 again here, boys,’ were his words. Once again it was Geduld who was key to any Blitzbok play and this time it was with a lovely diagonal kick-pass from right to left, which saw a French defender knock the ball backwards. Siyozwapi was on hand to pick up and blast over under the posts. The conversion made it 24-0, but the Blitzboks weren’t quite done yet. Replacement playmaker Cecil Africa (one of five switches in the second half) took a quick tap in front of the posts and Werner Kok proved unstoppable as he went under the posts for an easily converted try. The Blitzboks were unstoppable on the night and wrapped up their day with a 31-0 result. Next up will be their final Pool A game against Wales in the early hours of Sunday morning (2.08am SA time).